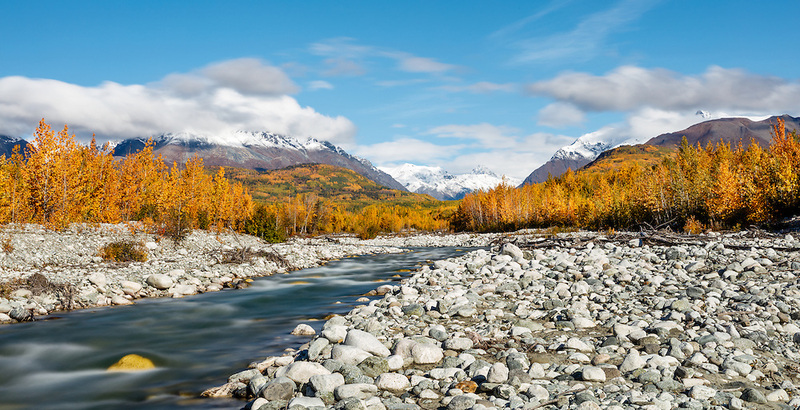 Long exposure of Granite Creek and Talkeetna Mountains along the Matanuska Valley in Southcentral Alaska. Autumn. Morning.